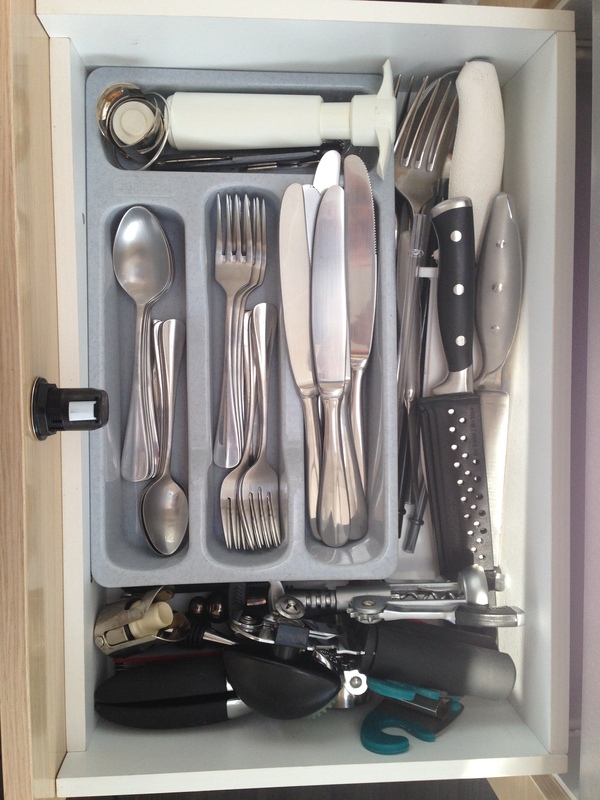 We’ve had a problem with our silverware drawer since we moved onto our boat. 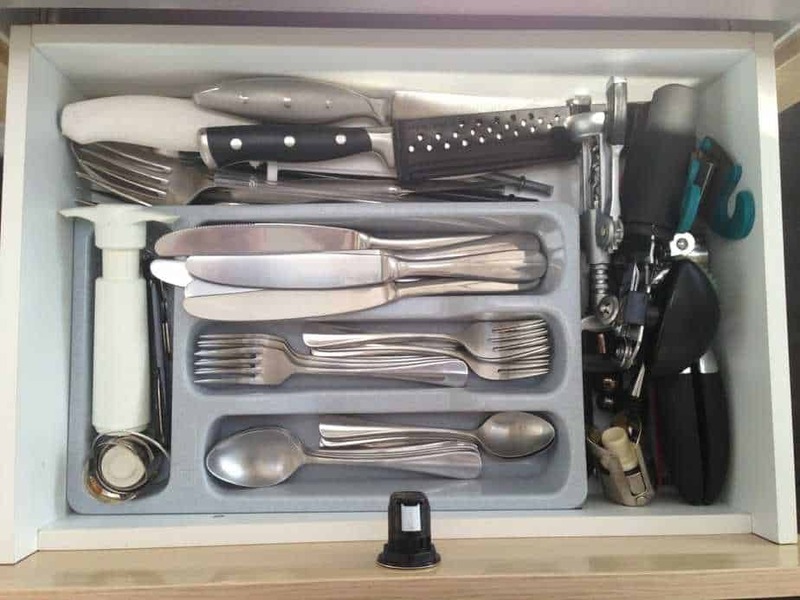 It’s small, and we hadn’t found a good organizer to fit into the drawer. The only one we could find (in France) was too small, the knives didn’t fit properly, and the serving utensils had no home. I looked online once we got to the states, and everything was too big, even the expandable ones were too big at their smallest. I started to search for other options and came up with DIY Drawer Organizer for $6. Before you get all crazy excited, let me tell you it does NOT cost $6. It cost me $20 and a few hours of hard work. 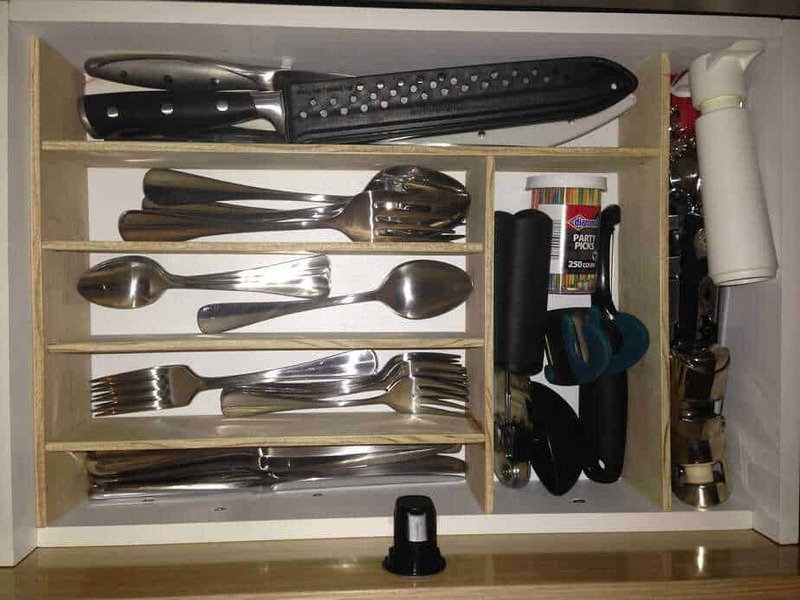 While it didn’t come out amazingly perfect, it is very functional and I am much happier with my DYI silverware drawer organizer. I used a 4′ x 2′ piece of 1/4″ thick birch wood, from the hobby section of lumber at Home Depot. Home Depot cut it for me into 3″ strips. I used wire nails and skipped the Gorilla Glue because it was too hard to keep the parts together for drying. There, I just saved you $3. Behold our new drawer organizer! And don’t judge all the wine-related items…. Finished product! Everything on the very right: booze related. 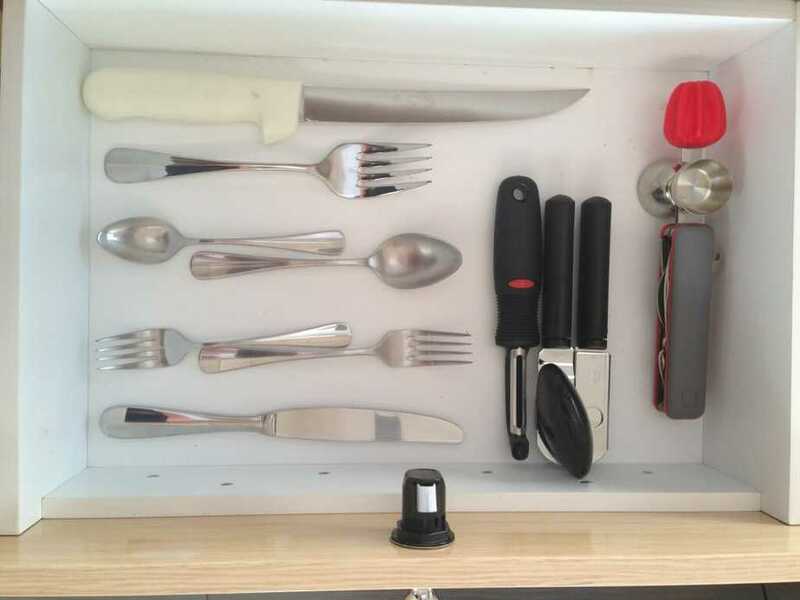 Doing this DYI silverware drawer organizer also encouraged me to remove two items – my garlic press (I can mince by hand or chop in the food processor) and a butterfly wine opener (as opposed to the two server wine openers I have. Don’t know the difference? Learn here). Other than that, it was an incredibly productive day for me. I installed Dri Dek in our last cockpit storage area; mounted our galley fire extinguisher; applied Rust Bullet (a rust prevention coating) to our butane bottle, hardware in the cockpit and lockers, and the port engine room; returned our 1/2″ anchor chain hook; and made the silverware organizer. 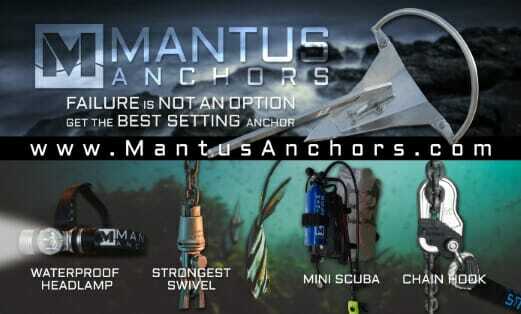 These projects merited a run to West Marine, Home Depot, and the Post Office. Yet I still had time to grocery shop and cook! Hope you had just as productive of a day as I did!